Let us understand more about the durable service by creating Simple Calculator service which persist the instance state in SQL server database. 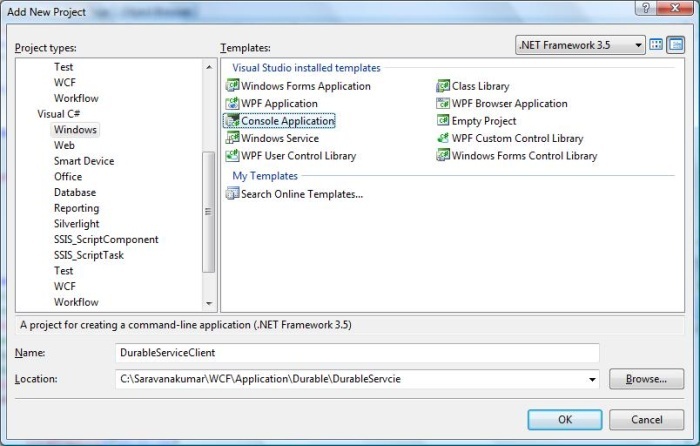 Step 1: Start the Visual Studio 2008 and click File->New->Web Site. 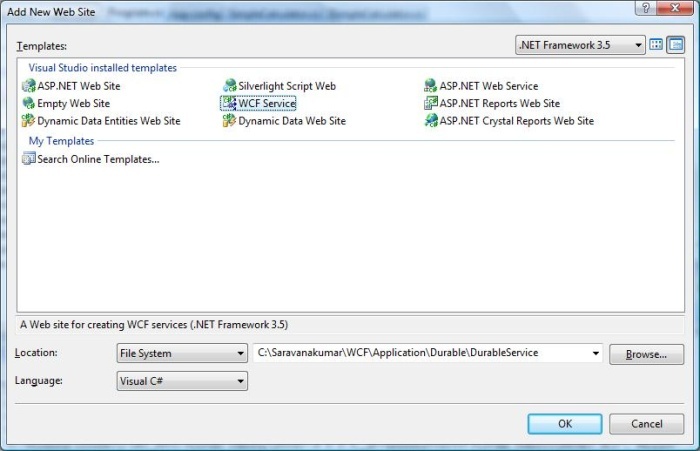 Select the 'WCF Service' as shown below. Step 2: Create interface and decorate with Service and Operation contract. 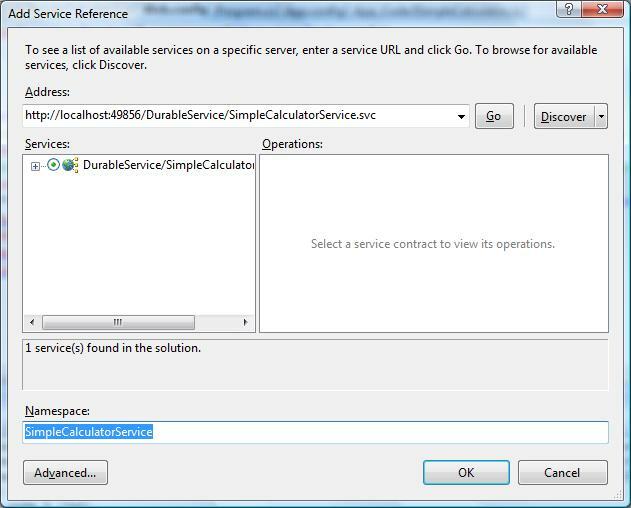 Step 3: You need to add [Serializable] And [DurableService()] attribute to the service implementation. Set CanCreateInstance = true property to the operation in which instance state has to be persisted and set CompletesInstance = true when state has to be destroyed. In this implementation, we are going to persist the 'currentValue' variable value to the database. 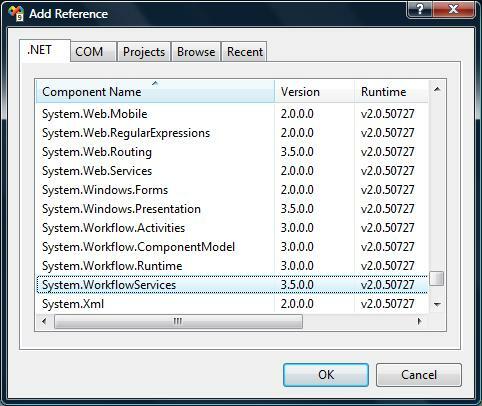 Step 5: In order to support durable service, you need to use Context binding type. <persistenceProvider> tag is used to configure the persistence provider. Step 9: Create the Helper class called it as Helper.cs. This helper class is used to Store, Retrieve and set the context at the client side. Context information will be saved in 'token_context.bin' file. Copy and paste the below code to your helper file. Step 10: In the main method, I was creating the proxy for the service and calling the Add operation. Call to this method will add instance state to the database. Now I have closed the proxy and creating new proxy instance. When I call the Subtract and Multiply operation, it will operate on the previously saved value (instance state). End of the proxy 1, service instance saved in the database as shown below. Serialized XML instance state save in the database is shown below. Output of the client application.